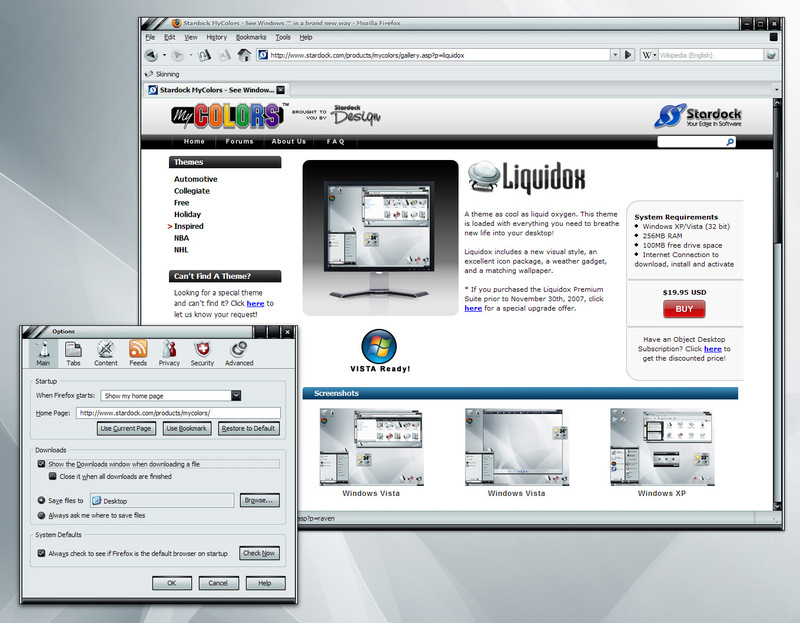 Firefox 2.x theme, icons, some graphics and colors are themed. Finally some Liquidox love for the fox! So what are the chances of this getting a Firefox 3.x cousin?